Our Annual Report for 2015, which includes an accessible video and an Easy-to-Read document, were both launched in June. This year’s Annual Report is another step forward in making information as accessible to people as possible. 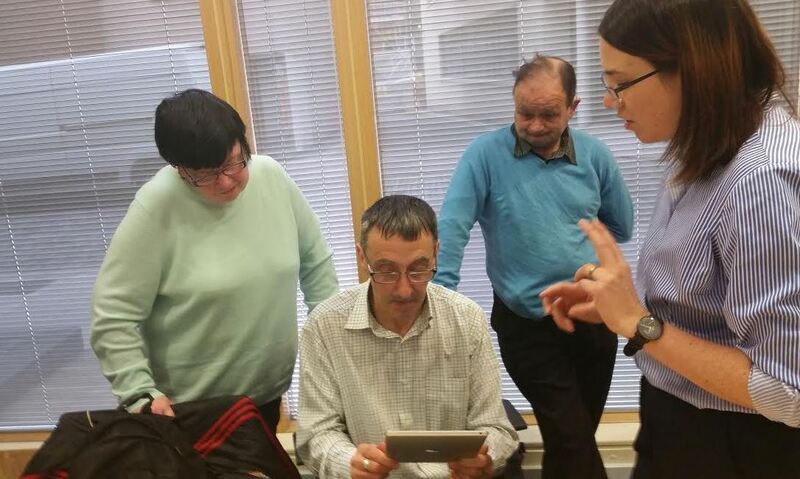 With the assistance of Sarah Gavra Boland, our self-advocacy group helped to produce the Annual Report video by filming the footage, carrying out interviews and editing the video. 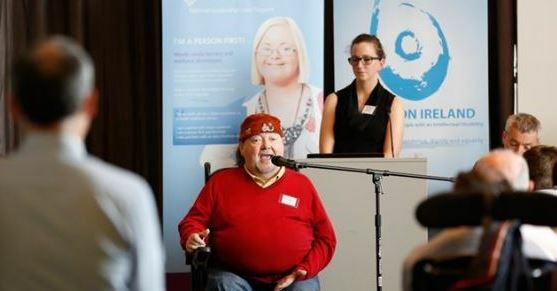 Inclusion Ireland’s ‘Time to Deliver’ conference at the Gibson Hotel, Point Village, Dublin 1 on Saturday, June 11th was attended by over 100 family members and persons with intellectual disabilities. The morning session consisted of four parallel workshops – complex support needs, assisted decision-making legislation, self-advocacy and innovative models of day services. The afternoon saw presentations from Minister of State with Responsibility for Disabilities, Finian McGrath TD and HSE National Director of Social Care, Pat Healy and an open forum session with the audience. Inclusion Ireland and Down Syndrome Ireland hosted a Personal Budgets Seminar at the Gibson Hotel, Point Village, Dublin 1 on Monday, May 30th. The two organisations demanded that a proposed Government taskforce on personal budgets – which will investigate giving people with disabilities access to their own funding – be set up as a matter of urgency. More than 200 people – many of whom are parents and carers of people with disabilities – who gathered at the seminar heard from Minister of State with Responsibility for Disabilities, Finian McGrath TD that a “seismic shift is needed in how disability services are provided and funded”. You will find a number of articles from presenters at the Personal Budgets Seminar elsewhere in this issue. 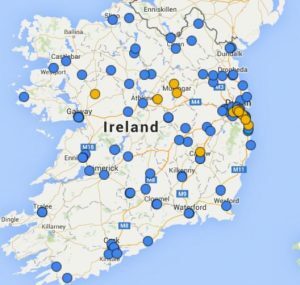 The Connect Family Network has hosted a number of information events in recent months with information days in Dublin, Athlone and Kildare. The Dublin event took place in Glasthule, Co Dublin on Friday, June 10th and the agenda consisted of the Assisted Decision-Making Act and post-school options for people with a disability. The Athlone event was held on Tuesday, June 14th with facilitator Margaret Farrell helping family members to explore hopes, wants and dreams of the person with a disability. 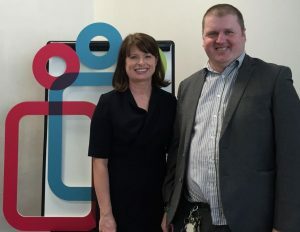 The event in Kildare took place in Leixlip on Tuesday, June 21st and the agenda consisted of the Assisted Decision-Making Act and post-school options for people with a disability. 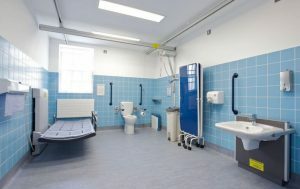 Áras an Uachtaráin unveiled a new “Changing Places” fully-accessible toilet facility – a first in an Office of Public Works (OPW) managed building – in May. President Michael D Higgins – a patron of Inclusion Ireland – announced that visitors to Áras an Uachtaráin will now be able to use these modern facilities that are inclusive of the needs of all citizens of Ireland. Inclusion Ireland has helped to champion the Changing Places Ireland campaign which aims to introduce fully-accessible toilets to public places such as shopping centres, libraries and sporting arenas around Ireland. Adrian Noonan spoke at the launch of the Irish Human Rights & Equality Commission (IHREC) report on the monitoring of the UN Convention on the Rights of Persons with Disabilities (UNCRPD) in Dublin in May. Adrian –a member of our self-advocacy group – spoke about the importance of self-advocacy and meaningful consultation and participation of people with disabilities in the monitoring of the Convention. “It is not okay for people with disabilities to be present and not taking part and just be there as tokens. [The UNCRPD] should be ratified as quickly as possible. By not having it ratified, we are not being seen as equals and it seems as if the government don’t want us to have equal rights and don’t want us to participate in Irish society,” Adrian said.